Trenching and loading with an excavator is so common that it’s not unusual for operators to form habits in how they set up their worksites and use their machines. But no matter an operator’s level of experience, everyone could use some tips on getting the most from their machines, while making the worksite safer. Take time for setup — while it may seem second-nature, so many people skip proper setup. 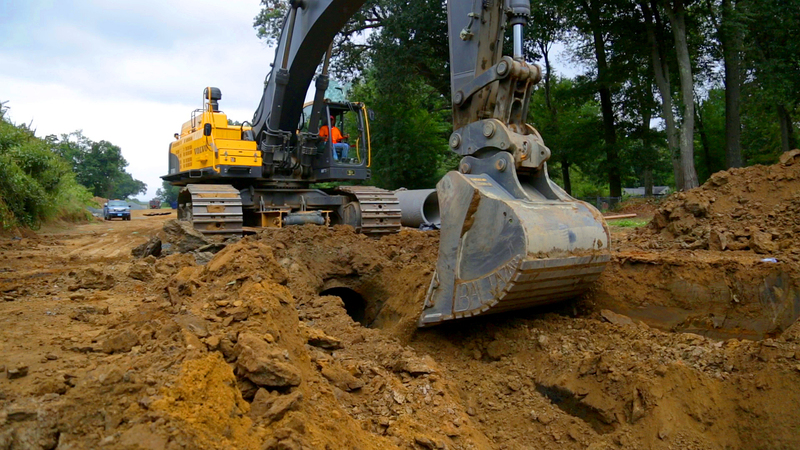 First, determine where you’ll put your spoil pile and bedding material and where you’ll stage pipe, if applicable. Ensure you aren’t setting yourself up to be boxed in as you work, and use offset marks with paint lines or string lines to give yourself a reference point. Taking time to do this helps you avoid unnecessary time moving material multiple times later on. Align the front and back of the machine to your reference. If available, put features like Volvo’s straight travel pedal to work, which allows you to control the line with one pedal versus two. Start with your paint line or marking path — dig the teeth in enough to mark the direction of the trench so it’s in alignment. Be aware of the terrain — if the project isn’t on level ground, work to hold the grade. I’d recommend using Volvo Dig Assist, which allows operators to input job specifications and get a real-time view on the Volvo Co-Pilot in-cab display to track progress. Use features like Volvo’s boom float, which allows the bucket to maintain consistent, even contact with the ground and helps you create a smooth, level trench. As you’re digging and pulling material out of the trench, try to keep the area in and around the trench clean and free of debris to remove safety hazards and prevent trucks from backing over debris between loads. Help ensure safety by remaining aware of your track orientation. Don’t commit to a direction before doing a short acceleration test. Try to dig over front idlers when possible, and if digging over the side, be aware that the lifting capacity is lower. Call 811 and locate existing utilities before you dig. Be sure to place spoils in the most appropriate location. OSHA requires the spoil pile be a minimum 2 feet from the trench, but with many types of spoil, it should be much farther than that. Speaking of OSHA, the agency has other trenching requirements for inspections, access and egress, protective systems and more. Always follow OSHA guidelines for safe trenching. Before you begin, ensure your excavator attachment is sized correctly for the job — think through maximum reach required and density of the material to be moved. 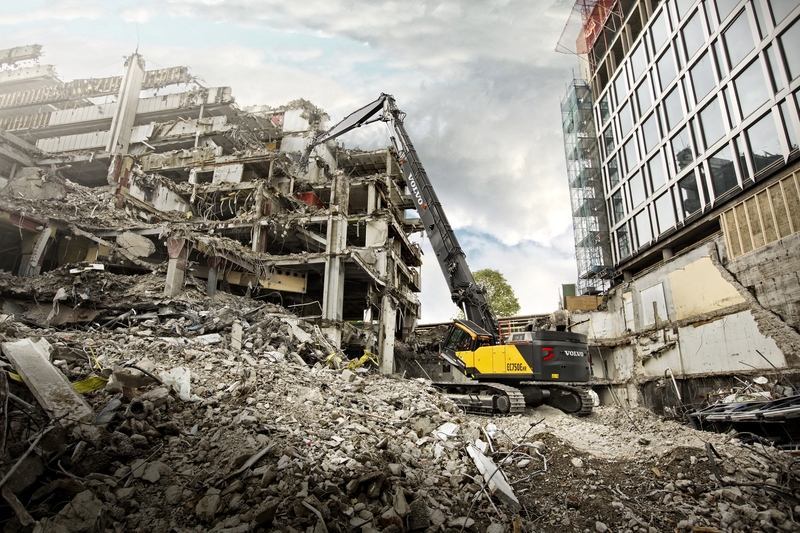 Position your excavator at a height that’s efficient for loading. This means your bench height should be close to the height of the haul truck sideboards. Place the vehicle to be loaded so your machine doesn’t have to swing and travel more than necessary. Stay safe by remaining cognizant of your surroundings. Always be aware of any overhead or underground obstacles, and use mirrors and cameras to your advantage. Never swing the bucket or load over people or a cab. Spending a few minutes to properly set up and map out how the worksite will function can increase your productivity and help keep you and your coworkers safer. Want more tips for your excavator? Here are ways you can minimize wear and tear on your machines or watch our Tips & Tricks videos on YouTube. Thanks for the feedback, we’re glad you find it useful! If you’d like to see most of these tips in videos, you can see our Tips & Tricks video series on YouTube. We will continuing to add more videos around these topics. Great info especially the part about set up …. so many people avoid this just to “ get the job done “ but I’m my opinion this is vital…. would love to work for Volvo as an operator how could I get involved?